The error has been observed on AX2009 Kernel (5.0.1600.3090) with Managment Reporter 2012 RU13 both databases installed on SQL 2012 SP1. Try going into Column Definitions and open any column definition. 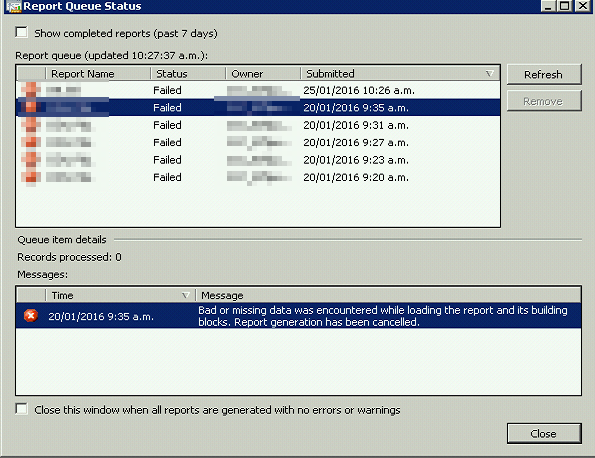 If you get error “The operation could not be completed due to a problem in the data provider framework” check Windows Event logs. To resolve the issue you must enable the secondary currency in Dynamics AX and set the secondary currency for all existing companies. -If you need help on this feel free to drop a message.